Puzzle Pets is a free match-3 puzzle game for PC and mobile devices. 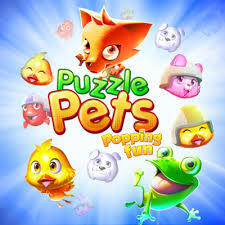 As a new product of the boss Gameloft, Puzzle Pets promises to bring many interesting surprises for gamers. 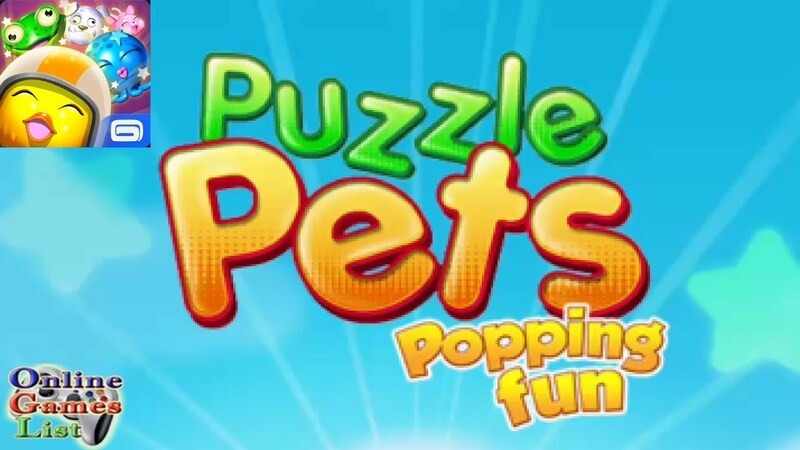 Coming to Puzzle Pets, you will be immersed into the colorful world of beautiful islands, meet cute and friendly animals … Puzzle Pets play similar to famous match-3 games like Candy Crush Saga or Bejeweled. Your task is to arrange at least 3 identical beasts to score points. However, the good point of the game is that each screen will have a different challenge. For example, there is a screen that requires breaking an ice sheet in a certain box, catching enough apples in a basket or scoring a certain score. The challenge is that the player must complete the task in limited steps, or for a certain amount of time. 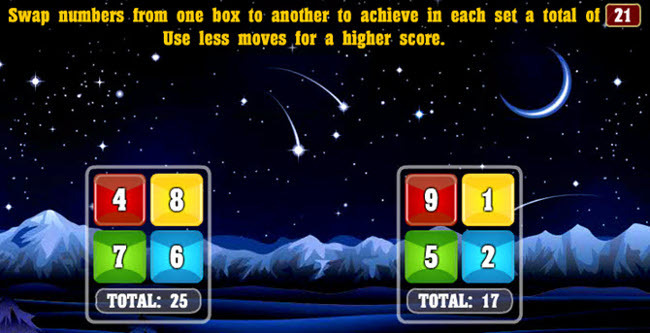 Carefully calculating plus a little luck, you will win the game in this exciting game. During the journey, you will get help from pets with special skills like breaking stones, opening paths … To activate the skills for pets, the player must fill the energy bar of them by performing consecutive eating combos at least 2 times or more. 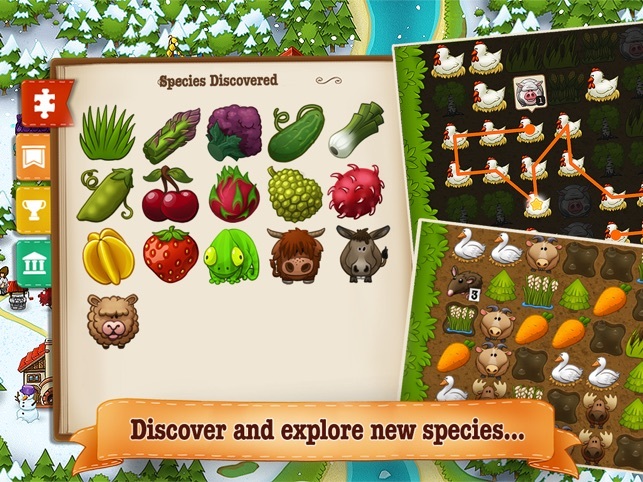 Puzzle Pets has many different types of animals for you to unlock and take care of them with the materials earned after completing the game screen. Coming to Puzzle Pets, you will be immersed in the beautiful and extremely brilliant graphic platform, the world of friendly and close animals. They are octopus, ducks, foxes, frogs, rabbits … in bright colors, funny, suitable for players of many ages. The PC version is available on Windows Store for free download. So what are you waiting for without downloading Puzzle Pets now and enjoy it! Puzzle Pets is an interesting puzzle game, paired with pictures of funny animals. With cute graphics, beautiful and diverse skills plus many different challenges, many strong bosses in each stage, Puzzle Pets will bring extremely new experiences for you. This is a highly entertaining game but equally challenging. Puzzle Pets is really a great gift for gamers of all ages, especially girls and small children. A good puzzle is usually designed and cut so that no two pieces have the same shape and size. When the child tries to put a piece in its place, there is only 1 piece of medium fit. Finding, experimenting is how children learn to reason, why this piece, and from there learn how to solve their problems. Puzzles to help children improve their language ability in a comprehensive way. When you play with your parents, your child will ask about a piece of a piece, which is when your child learns to describe the piece for parents to listen to or ask their parents to find it when they play. Puzzles also teach children some basic concepts of mathematics. During play, children learn to classify and arrange pieces. For example, the child will recognize all red pieces to make a place, the edges on the border and the corner out to one place, etc. This is an important ability for children, to control the process of seeing a certain piece of the eye, first thinking about whether it will be placed in the head and immediately executed. For this process to happen quickly and accurately requires children to practice. This perfection will encourage the independent process of thinking and acting in children. 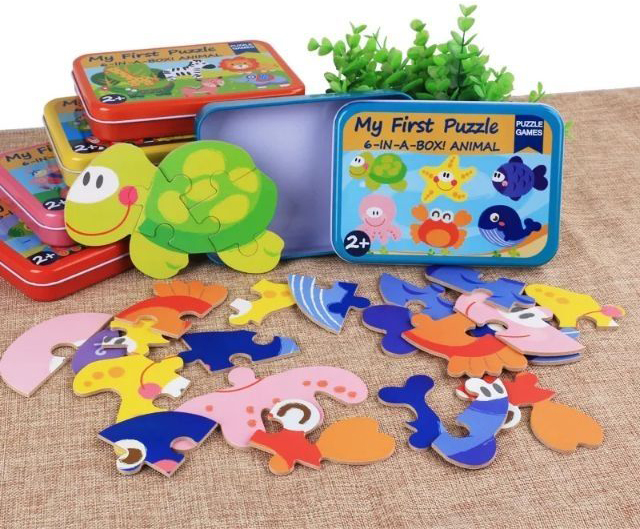 Jigsaw Puzzles is a way for children to practice the dexterity of their hands. When playing, the muscles of the fingers will be trained to hold and stack pieces. This is a good preparation for writing when children go to school. When playing puzzle games with parents, siblings or children, children will learn how to play and work in groups, learn how to communicate. The process of playing is also a time when children learn how to organize, solve problems, and help them work together. When children figure up to completion, they are learning how to persistently solve their problems. Children will feel proud, happy when completing a picture, and thus also help children form independence and confidence in themselves. Children will learn the ability to think except statues, reasoning, and thinking except when finding many different pieces to puzzle. For example, when looking for a puzzle piece for a certain position of a puzzle, the child will learn how to reason up the shape and color of the piece needed. The color and shape of the pieces will stimulate brain cells to grow. Children learn to visualize and imagine in the beginning the color and shape of the piece to be searched based on the color of the pieces around. 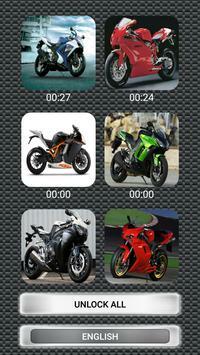 Do you want to download free games for your phone with motorbike images? Play Sports Bike Puzzle Games free app for Android; Solve sliding puzzle games and complete all beautiful motorcycles on your Android phone or tablet today! In this jigsaw app you can choose slide puzzle or jigsaw game. Play puzzle games with beautiful images of motorbike racing and motorbike cruiser; You will find new motorcycles and antique motorcycles in this puzzle game for Android. Some people like German motorcycles or Italian motorbikes, others just like American motorcycles or Japanese motorcycles, in this Android motorcycle app, you will find free puzzle games with motorbike images for All kinds of sports fans fans that enjoy speed and love motorbike sound rotation. These are free motorcycle games for boys where you can choose different size jigsaw pieces to play with; The smaller size will lead to more troops and mobile games with high difficulty levels. 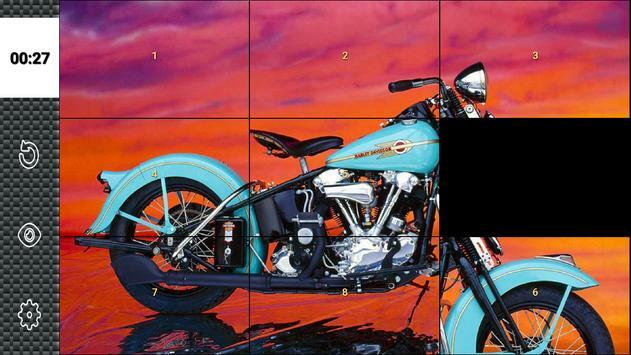 Play puzzles about motorcycles with bulk jigsaw pieces if you want to challenge your brain! If you want to solve logic puzzles and love fast motorcycles, this is the right motorcycle game for you! Play puzzle games for children and adults; solve logical thinking puzzles, see top sports motorcycles or just enjoy entertaining games. These are Android games for boys; But all motorbike lovers will have fun playing the best motorcycle games online! 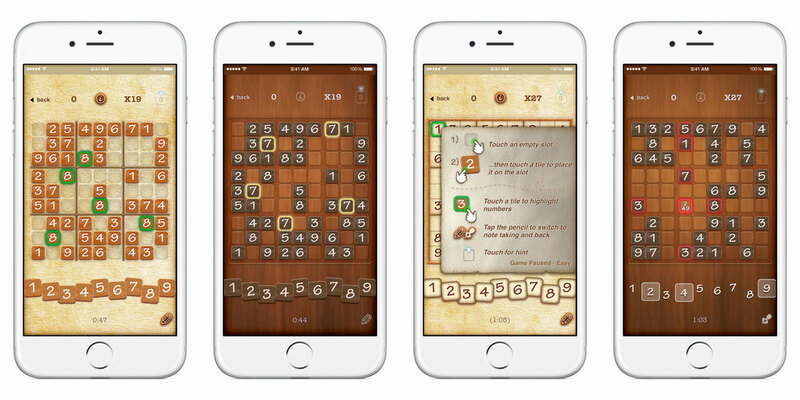 Sliding puzzle games may require some logical thinking; But free games can be enjoyed like brain games and pastime games! Let’s play the best motorcycle game and get some brain exercise with this super motorcycle app! 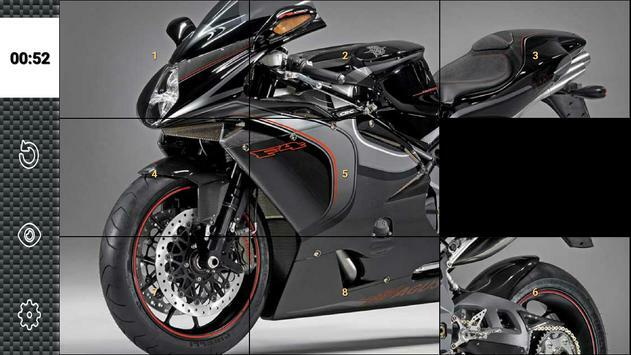 You can play Sports Bike Puzzle Games all the time, be it on the way to work, during breaks, or when traveling far. Such games are usually quite light, have a clear and simple goal. Although, it always forces you to concentrate when playing, but it doesn’t force you to play right away. For example, like in a racing game. This is a good thing to play in a bus, train, or any other vehicle, where you are distracted by others or realize something new in every moment. In such a case, you can choose a safe method to pause and resume the game later. 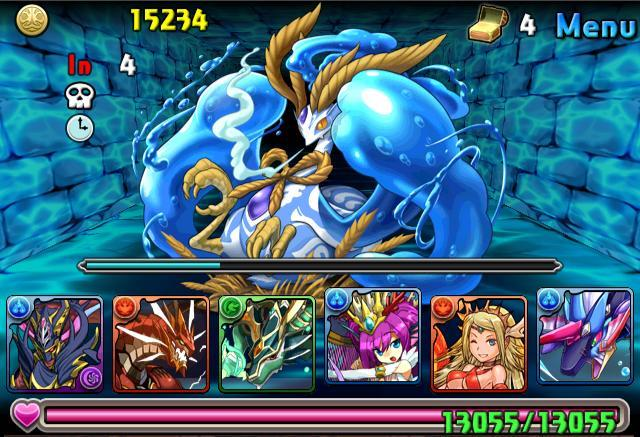 In Japan, a game called Supreme Puzzle & Dragons reigns, in April 2013, this is the leading iOS and Android revenue game in the world. Now, the game has been downloaded about 25 million times, but while impressive, that number is a bit misleading. Much of that figure originated in Japan. It is no coincidence that in a short time of launch, Puzzle & Dragons has such terrible revenue. 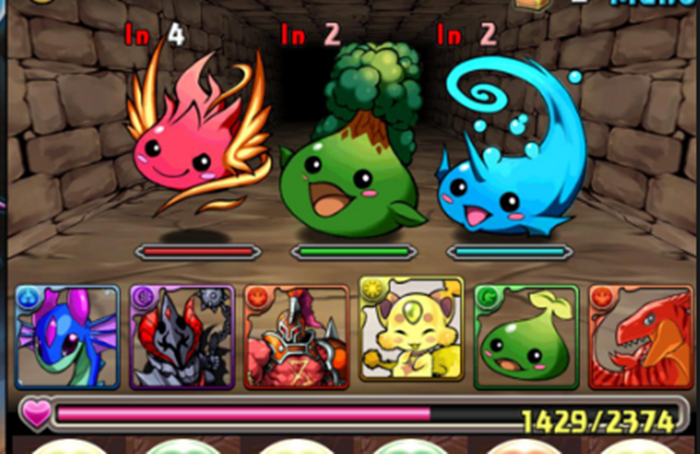 Gameplay in Puzzle & Dragons is divided into RPG by turn at the top of the screen and match 3 game at the bottom. When entering RPG mode, players will have to go through some dungeons and fight with other monsters. No explosions or special skills need to be deployed. The player just steps into the dungeon and goes until he meets the monster and then fights, just follow the corridor until he fights with the host monster. When the fight takes place, you will have to turn your attention to the gems that are patiently waiting on the bottom half of the screen. Each gemstone has a color corresponding to the type of power (water, fire,…) of the monster on the upper half of the screen. When you find 3 or more images, the corresponding color will attack. There are five monster systems: fire, water, light, darkness and wind. Connect the blue celestial bodies (representing water) to guide the animals in that system to attack and similar to other colors. The concept of the game is to continue the fast-paced celestial bodies to perform combo sequences to help the destruction increase. The special thing is, you can move those objects to any position. Talking about Pokemon, of course the main factor related to this name is evolution. Not only that, combining two different species will create a creature with a much stronger index. Thanks to the integration of a powerful social network you can send gifts, or even bring your friends’ animals into your game. Or even bring your friends’ animals into your match. Stamina is the only thing that interferes, every different place needs a certain amount of stamina to enter, maybe 50, 20 or 10. The problem is, once you use it all, you can’t continue the game. Except for two conditions, the first is to wait at least 1 hour for the Stamina bar to fill itself; and the second are Freemium and IAP. Combine 3 or more identical pictures to attack the enemy. Unlike other intellectual games, players can move blocks as far as possible. Create the largest combos possible to destroy enemies and collect bonuses – even players can earn super rare characters. With over 700 unique species of monsters to collect, there seems to be no restriction on the number of teams the player can combine. Merge monsters to make them stronger. With the necessary conditions, lovely little dragons will become powerful and powerful monsters. Make friends in the game or exchange ID code with your friends in real-life. You will never have to act alone. With the thriving and dynamic community, along with regular events and updates, the Puzzle & Dragons world is always expanding. It’s completely free for players, so there’s nothing to stop you from building your own dragon army right now. 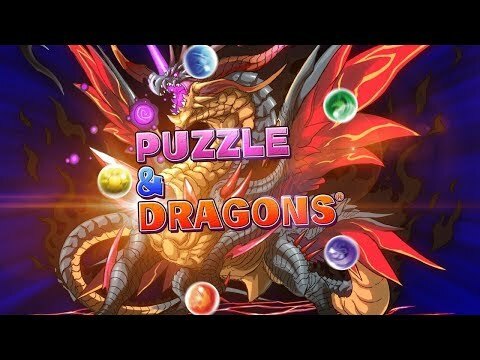 Puzzle & Dragons free for download and play. However, there are several in-app purchases for players to extend their experience. If you do not want to use this feature, you can disable it in the device settings. Magic Jigsaw Puzzles is the best multi-piece jigsaw game for Windows computers. 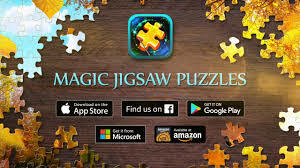 You can play free Magic Jigsaw Puzzles on Windows 8.1 and Windows 10. The latest version of Magic Jigsaw Puzzles adds many interesting puzzles. This game is both intellectual and entertaining, helping you kill time, relieve stress and play games anytime, anywhere. Colorful photos by theme, smooth background music help players to forget about everyday worries and sink in the world of rich lines and colors. In Magic Jigsaw Puzzles will have levels with increasing challenges, start from the easy level for new people and become a jigsaw master. Besides, you can also create quizzes with your own photos and share them with friends or the game community. Join weekly tournaments and games, compete with rivals from around the world. Collection of puzzles in Magic Jigsaw Puzzles are paintings of many topics such as animals, portraits, natural landscapes. Along with that is a great music store, serving the music needs of everyone, in every circumstance. The game has a simple control mechanism that easily solves puzzles. – Is the most famous puzzle piece game for computers. – Provide many beautiful, high quality images. – You can download more free mosaics packages. – Update photo library regularly. – Choose 5 different difficulty levels (maximum 630 pieces): start with the lowest level and gradually improve your jigsaw ability. – Can move puzzle pieces in groups. – Rotation mode creates more challenges for high level players. 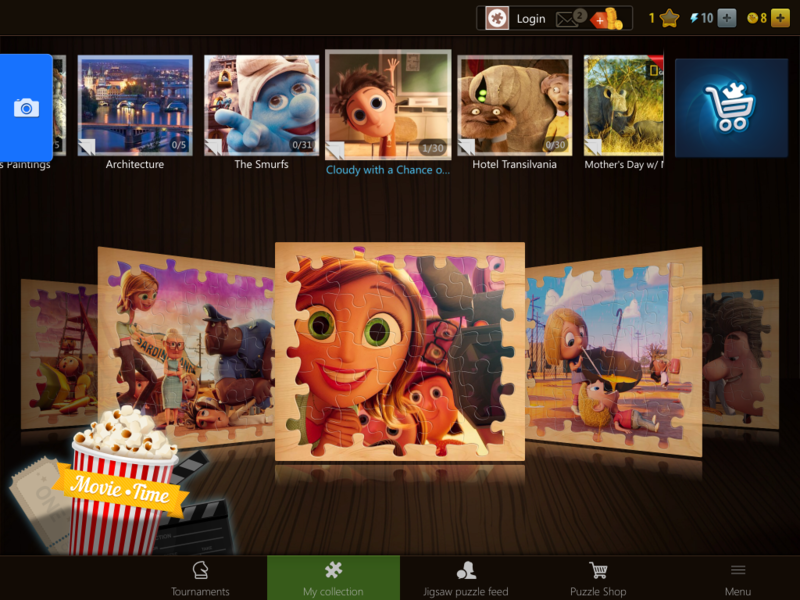 – Can create mosaics from personal photos. – Every day there will be a special photo for you to try. – You can join multiple pictures at once and track progress. – Easy control with mouse or gesture on touch screen. – Allow preview your work. 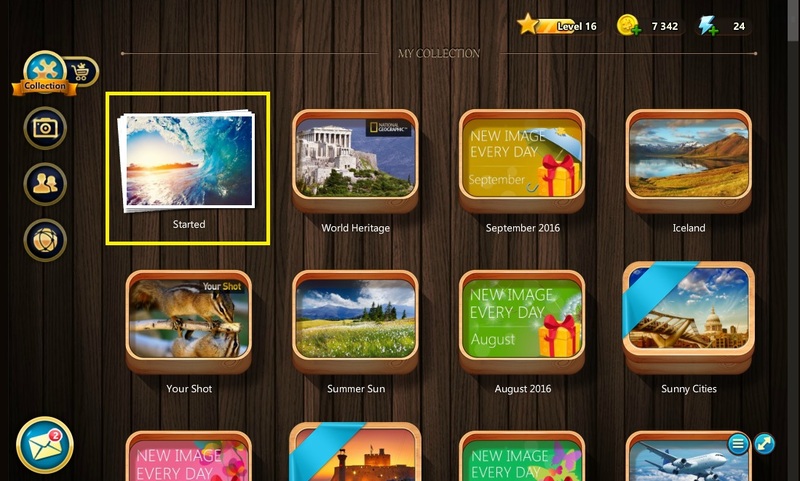 You can choose the game modes in the game Magic Jigsaw Puzzles for free, such as Classic Puzzles – jigsaw puzzle at 4 basic levels, Quick Puzzles – match timers, Puzzle of the Day – puzzles selected in the day … For each photo, users have the right to choose the number of puzzle pieces according to 5 levels to challenge themselves. Start with 35 pieces for new players and conquer extremely difficult 630 pieces! It is time for sports on your phone! If you like playing interesting puzzle games, you are in the store for a phenomenal puzzle solving experience! We offer you great pictures of football, basketball, baseball, boxing, tennis, water polo, Formula 1, extreme diving, horse riding, billiards, racing, fitness, sports, racing, and more. Choose your favorite sport and start solving some sports puzzles. – Difficulty selection – easy (9 pieces), hard (100 pieces). – Each jigsaw puzzle is different – different puzzle pieces shape every time. 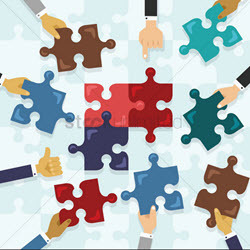 – Move jigsaw pieces in groups – easier to connect a single puzzle piece to the entire group! – Save all the puzzles in the copy – work on all of them at once! – Use the PAUSE button if you want to see the whole image, or to save your progress! – Not for app purchases – all picture puzzle games are completely free! – Listen to puzzles without WiFi – amazing addicting game that you can play without any obstacles! Sports puzzle game contains puzzle pictures of your favorite sports: football quizzes, basketball puzzles, tennis puzzles, billiard puzzles, and more. This fun puzzle game for kids one d for adults will make you want to go out and do some sports. There are many easy levels with 9 puzzle pieces and there are difficult levels of up to 100 puzzle pieces. When you’re done, combined with the entire jigsaw puzzle, you can save your sports image as a sports wallpaper and origin. 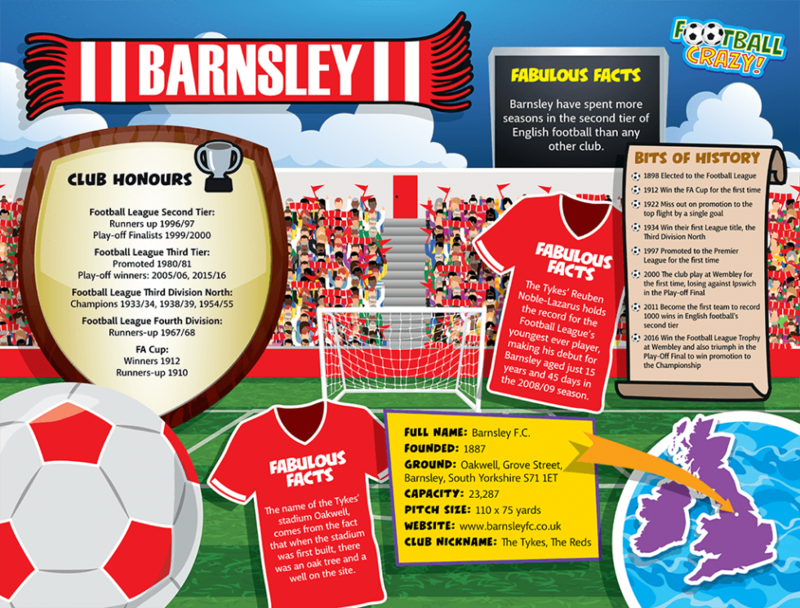 Your phone can be decorated with football wallpapers, racing wallpapers, extreme sports wallpapers, sports wallpapers, etc. What is your favorite sport? Do you want to solve jigsaw puzzle football games or do you like basketball puzzle games? Whether you choose, you will not be confused! 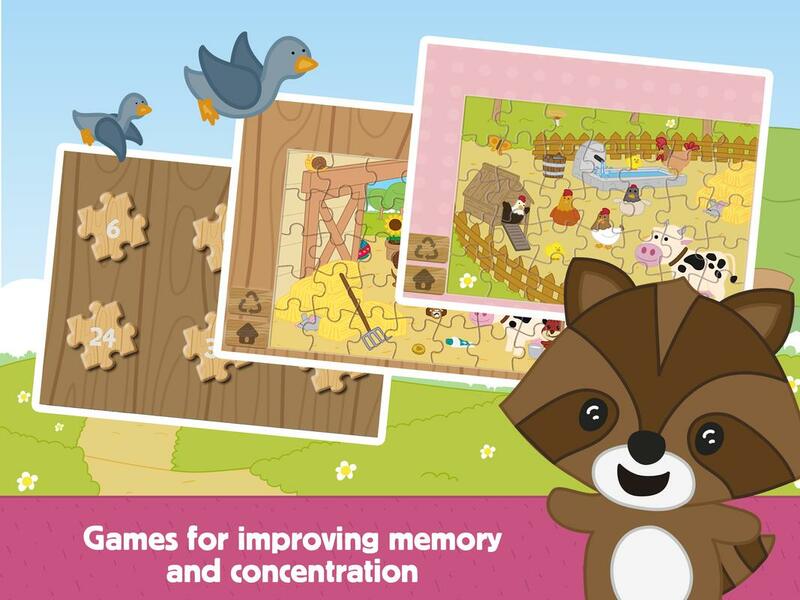 These free jigsaw puzzles up to 2015 will help you improve your memory, concentration, and other mental skills. It does not matter whether you are good at sports games or not, by playing sports jigsaw games you can become the best player. No matter if you are a child or an adult, you can enjoy playing sports puzzle games for Android. This collection of jigsaw puzzles free download will give you hours of fun and great mental activity. 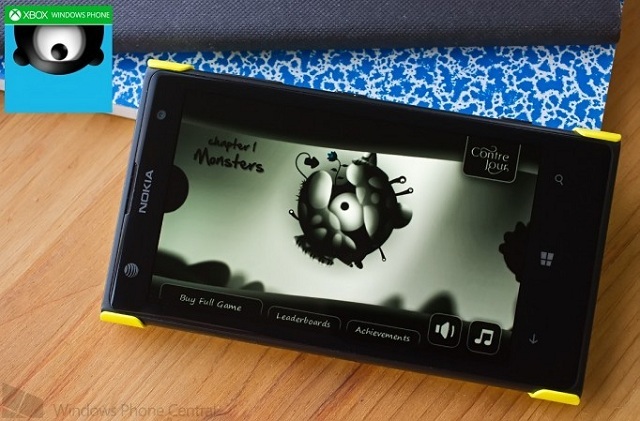 Do you like playing educational games that are fun at the same time? Do you like games and applications that involve your mental skills to test learning? If you like memory games, combine games, chess, and crossword puzzles, you’re in the right place. “Sports jigsaw puzzle 2015” is the puzzle game having everything that you need for a daily dose of neurological activity. So, if you want to explore, let’s download Sports jigsaw games and show us your expert solving puzzles. These jigsaws are not only brain teasers with great time killers and memory games but also great educational games such as: practice some brain exercises, improve your observation and cognitive skills, and aslo visual perception and concentration ability! It can be said that if you are an old gamer, surely you have spent a great childhood with Tetris puzzle. From old 4-button handheld to modern touch phones now, Tetris has always had a place in the hearts of game lovers. 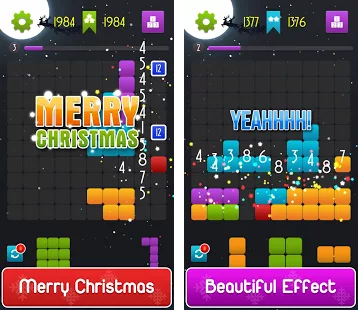 From the classic play, today we see a lot of Tetris games with a lot of unique improvements that make Tetris attractive now more attractive. In this article, we are going to introduce you to a Tetris game called Block puzzle saga. In Block puzzle saga, you will see familiar Tetris blocks like squares, sticks, L or Z … However, they won’t fall from the top down like traditional games so your mission is to grasp and drag them to the screen. You need to arrange it so that it can fill a horizontal row to score like in traditional Tetris but be careful because they cannot rotate, so make the most reasonable arrangement to score points. When you reach a certain number of points, you will get to a new level, and of course this new level will also bring new challenges for you. The blocks become more diverse and larger, so they will cause more difficulties because you will easily create holes. In addition, at the following levels you will see small boxes with a number available on the screen. This is an interesting challenge for you, your task is to break them before that number returns to 0. If you still can’t break it before it returns to 0, it will lock that cell – That means you won’t be able to break the horizontal line in that position. So prioritize “destroy” it first. The game also provides you with a system to change blocks if you “build a building” and can’t break it, but the amount is limited so be as economical as possible. The game is quite simple for the purpose of entertainment is the main, in addition the game also provides a leaderboard system for those who want to “compete” with other players. The game is currently available on Android and completely free, interested readers quickly download and experience. For Chrome users who often want to take a break during the day or want to have relaxing moments after a stressful time, experience the following top 15 puzzle games and brain teasers. If you love Sudoku, this Chrome version is a great choice. You have 4 levels of difficulty to choose from, including Easy, Medium, Hard and Expert. After that, just select each small square position and fill in the number so that every 9 big square, 9 columns and 9 rows have full numbers from 1 to 9 without duplication. You can also use pencil for note mode. Another form of digital game – Make All Equal is a challenge. Your goal is to exchange numbers from one box to another to achieve a certain sum. The numbers used and the sum should never be the same. And you will get a higher score if you use the least number of moves possible. All-in-One Mahjong 2 is another great choice for Mahjong fans. The game has 2 time modes and scores, 12 color backgrounds and different brick styles. You can also choose from a variety of layouts like dinosaurs, skulls, beetles, or aliens. Perhaps you like pairing games over Mahjong, so Rainbow Lines is a fun and colorful option for you. In the campaign of this puzzle game, you remove the balls in the board by forming lines. Match four balls of the same color horizontally, vertically and diagonally to remove them. With each turn you go, many balls pop up from the board, so move wisely. 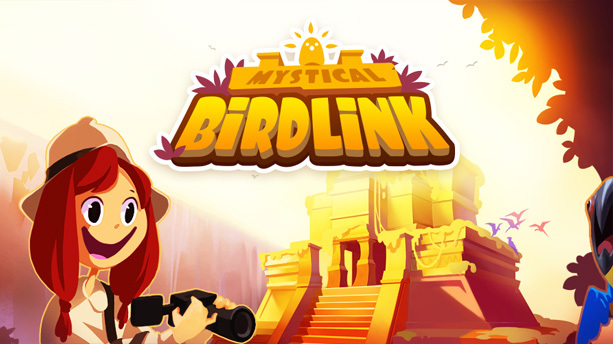 Mystical Bird Link is another interesting game. While it is similar to Mahjong, the difference here is that the matching of the bricks is extremely simple without the other bricks interfering, but you will have a time limit. 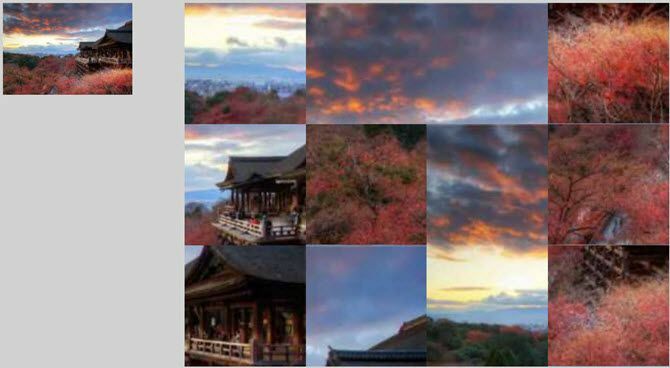 Free Elegant Jigsaw Puzzles offers you many topics from city landscapes, landscapes to animals. Each topic contains many puzzles. You just need to move the puzzle pieces to form a complete picture. 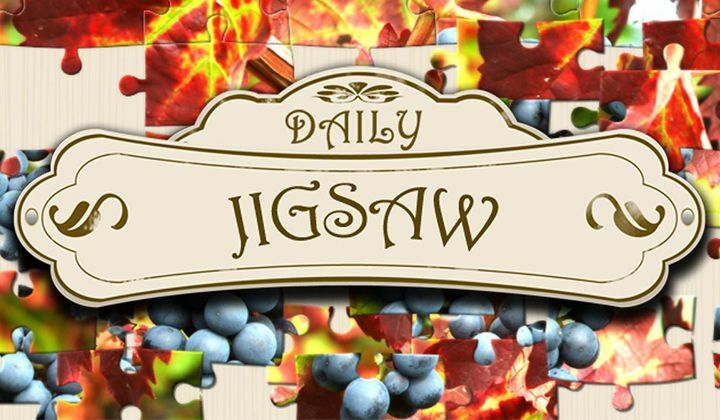 For an authentic jigsaw puzzle option, Daily Jigsaw is a great game of Chrome. First, choose a puzzle cut from 6 to 192 pieces with many options in between. Move the pieces into place to form the image and you will hear a slight click when connected correctly. This game uses puzzle pieces that look like what you use in physical jigsaw games. Chrome Online Store offers a lot of puzzle and logic games. There is almost too much to choose from, so you won’t know where to start. Hopefully, this list above will give you great games to test your problem solving skills as well as give you relaxing moments. At the weekend, people often try to spend maximum time to go play with relatives, friends. But for a variety of reasons, still people don’t plan anything else besides at home looking for something interesting on the Internet, on the phone. Would be great if you are planning to leave the house at the end of this week, but if not, don’t be sad because we will introduce to you a fun game for your entertainment in 2 days. It is called Puzzle Craft 2. Basically, this is placed in the form of a combination of soothing entertainment game and online building genre. In the game, you will be on the role of a warlord shipwrecked and drift on a deserted island. With your talent and your leadership instinct, you will have to rebuild a new Kingdom from numbers 0 plump. Throughout the game, you will have to search for raw materials, build a house, the growing population of his Kingdom, … All raw materials are obtained through soothing puzzle game mode when you only need to find the objects have the same shape. When there is enough material then you will can employers, construction of new housing. You may ask the question: was the wild islands, then where did you get the person hiring? Indeed, this has the somewhat silly, but to have an exciting recreation game then we can temporarily ignore that. That is exactly the product you need to build his Kingdom. The game is also quite the logic in the use of raw materials to build, for example to employers then you need clothes for their fibre and bread to eat, and if you want to build a house, then of course you need to have the wood and other things. 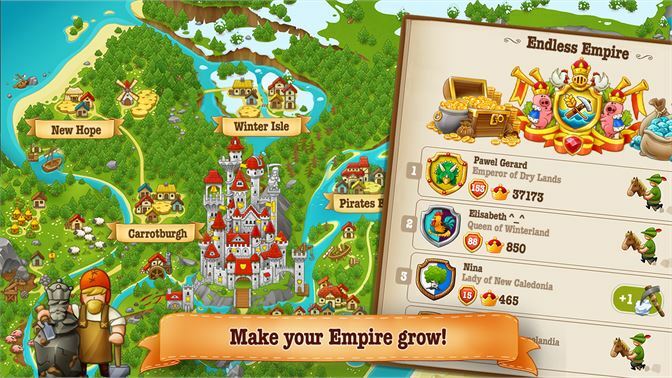 Unlike the games built into the other, in Puzzle Craft 2 you will build both a Kingdom rather than just a small area. You will develop on the whole island, and in each area of the island, you will encounter different terrain features. There is only one available on the island, which is the forest to fetch wood. If in terms of difficulty, the game has a fairly low level of difficulty. Puzzle game throughout both games proved pretty easy to get acquainted and conquer. But the easy start makes us easy to mistaken ideas about the “consumer” comfortable in this game. Be careful when deciding to use the money to game stores or extravagant for something, the more you will see is the play by them is relatively difficult to find. If not careful, you will fall into the vicious circle: make money to plough the material, but most of the money is to take the material off the sale. As said, this is their game was born to entertain rather than merely a blockbuster pits. The sound system and the graphics in the game are just average, and perhaps that is beneficial to the player when they are just interested in playing the game without too much attention to the little details. Basically, this is not an addictive game which made us have to “attach” took it all day to play. But to meet the needs of basic entertainment then surely it’s enough to make you fascinated. 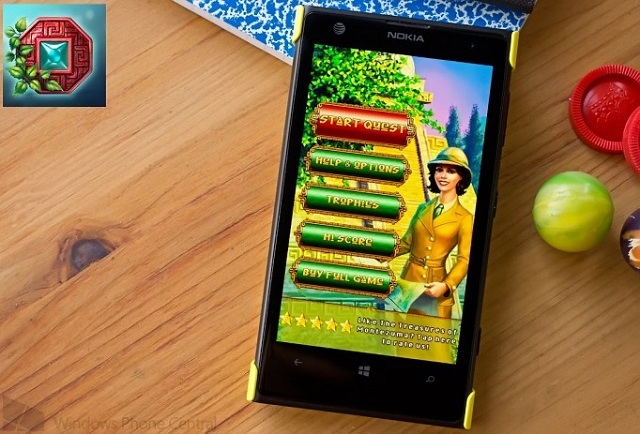 The following article will select and synthesize 5 best puzzle games on Windows Phone. Let’s follow us and quickly download as well as experience these amazing applications. 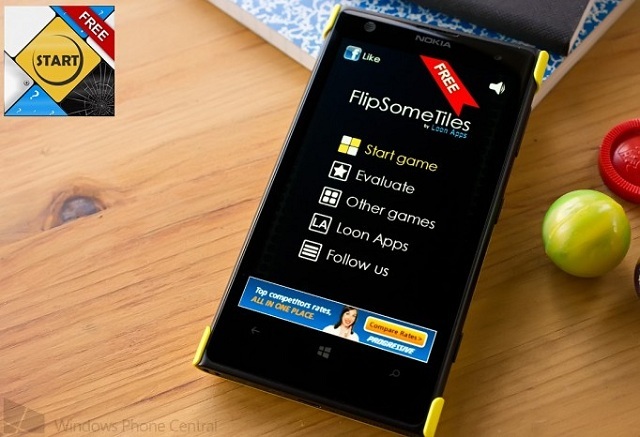 Flip Some Tiles Free is the puzzle game which supports both WP7 and WP8. The rule is also very simple, the player has the task of finding the fastest way from point of origin to the destination when the squares constantly change color from white to yellow. This is a classic in game with similar gameplay to the famous Bejeweled. But The Treasures of Montezuma makes the difference thanks to owning play script is very attractive and through each round you will be awarded a score to the upgrade tools, skill games such as bombs, mines … In addition, the player also receives the support of the 7 gods if they are not enough points to pass the next round. Contre Jour is a very popular game with the title Game of the Year in 2011. In the game, as players are reincarnations on talented Petit character with a series of tasks to perform, such as wiring, pull the pulley… to arrange objects and perform the action required to qualify to play. The game possesses the extreme physical graphical interface with sharp picture quality, sound, content-rich as well as the highly diversified. Contre Jour has about 100 stages to the user experience. In the game Logo Quiz Ninja, players will actively support to the Ninja Dai won a black belt through the correct answer logo of hundreds of famous brands in the world. This is the famous game which has attracted about 5 million players all over the world. 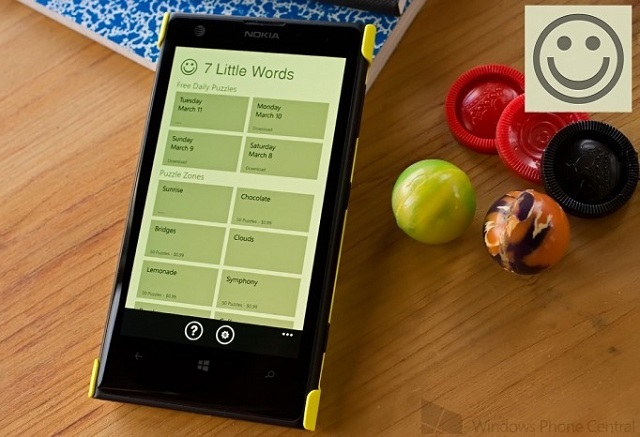 7 Little Words is a crossword puzzle game rather attractive. In this game, each puzzle will have 7 hints to the player search 7 from and 20 letters. The list of game 7 Little Words there are 45 categories of puzzles, which will have 4 free questions every day.